The removable heels My Choupi Heels are available in several heights and fit every shoe. A little pouch is offered to bring them everywhere. Free the cowgirl inside of you ! These fake fur cow print heels will make you love the countryside and change from leopard and snake print, with style and originality. In turquoise green suede, the high lagoon-moi heels will make you plunge into a bath of happiness. Don't wait until he offers you jewels, put metal on your feet! 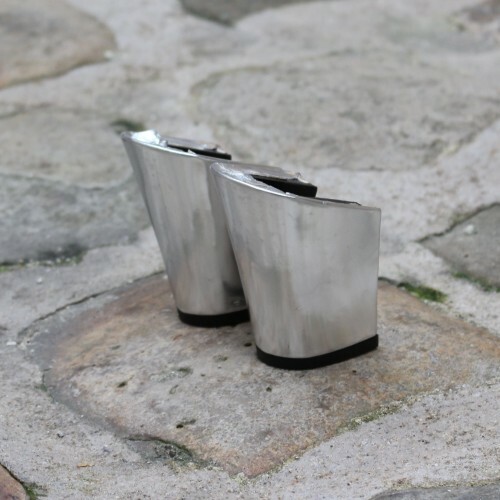 These silver metal heels will give you the shine that will dazzle him. To vary the pleasure, they are also available in gold metal. New material: gold like a metallic grained faux leather, more resistant! In coral suede, the Egaye-moi high heels will make you see life in colors. The new pair of imitation-snake heels will charm you with its autumn and winter colors. 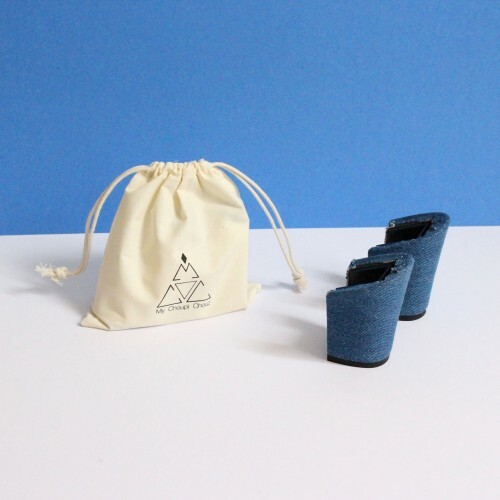 In jeans, the Denim-moi high heels will give you a trendy and casual look in 1 clic! In gold lame, the Allume-moi high heels will bring a chic and discrete shine to your My Choupi Chouz. In cork and gold, the Ecorce-moi high heels will bring a natural look to your My Choupi Chouz and highlight a speciality from their country of origin, Portugal: the cork. With multicolor glitter stripes and a weft in hessian, the Divertis-moi high heels are surprising and fun for an outstanding look! With red and gold stripes, the Embarque-moi high heels will allow you to sail in the waves of your daily life with style! New material: silver in grained imitation leather, more resistant!